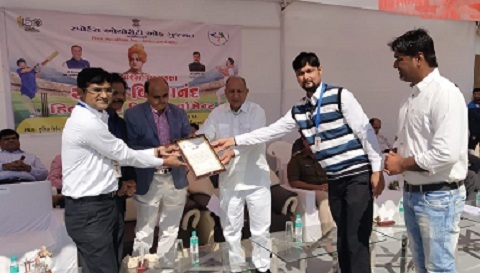 Sports Authority of Gujarat have selected Sandipani Vidyaniketan Gurukul as the school of choice for sports school at a District level from 2019/20. Congratulations to Sandipani Gurukul on this achievement. 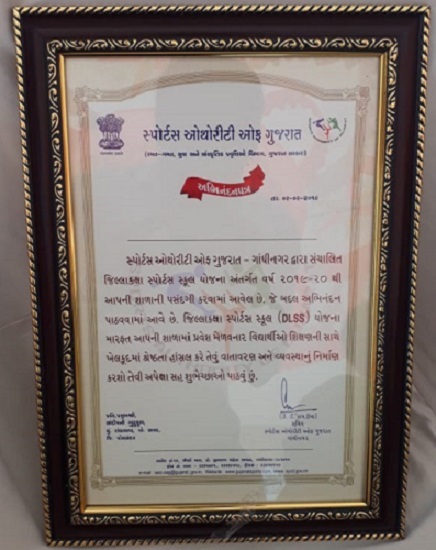 Mr. Kamal Modha and Dr. Devjibhai Odedra from Sandipani Gurukul received the memento from Shri D. D. Kapadia, the secretary of the Sports Authority of Gujarat. Sandipani Vidyaniketan values the importance of sports in addition to the daily education provided to students. Read more on extra-curricular activities and festivities at Sandipani Gurukul.